With Paramount’s “Transformer” spinoff “Bumblebee” still taking the lead of Chinese domestic film box office as of Tuesday, the rankings in the industry have seen rapid reshuffle again over the past week. During the past week, the Chinese mainland grossed a box office of 714 million yuan (105 million U.S. dollars). “Bumblebee” garnered another 207 million yuan (30.5 million U.S. dollars), with its general box office totaling 961 million yuan (141.4 million U.S. dollars). Following behind is “Bit Shot” with 140 million yuan (20.6 million U.S. dollars) for the second week, and “White Snake” with 120 million yuan (17.6 million U.S. dollars). Many imported films including “Escape Room,” “Mortal Engines” and “A Dog’s Way Home” failed to make a splash. “White Snake”, released on January 11 and jointly produced by China’s CG animation film studio Light Chaser Animation and Warner Bros., has been under the spotlight for the past week. The animation film has already grossed 185 million yuan (27.2 million U.S. dollars) and is scored eight out of 10 points on Douban.com, China’s answer to Rotten Tomato. With a sluggish start after its release, the high quality of the film has saved it from the destiny of another box office failure. It has won the hearts of quite a number of Chinese moviegoers after being released, who launched a spontaneous online campaign of “Saving Little Bai,” the heroine of the film, calling for more support for domestic animation films. The hashtag “Saving Little Bai” has garnered over 28.3 million exposures on Sina Weibo, the Chinese version of Twitter, while over 21,000 discussions were made. Their enthusiasm was fairly conveyed, though, the “White Snake” now is expected to secure a box office of at least 200 million yuan (29.4 million U.S. dollars). It is also Light Chaser Animation Studios’ most highly ranked animation. The film was based on an ancient Chinese fairy tale “The Legend of the White Snake.” It is about a white snake, after accumulating enough power to take the human form, turning into a young woman and marrying a young man who saved her life some thousands of years ago during his previous life. The animation film was mainly about the romance between the two during their previous life. And audience familiar with the story and the relevant films and TV series were all satisfied with the adaptation. The historical background of the story was set during the end of the Tang Dynasty (618-907), linking the story to the social realities of the time. The logic and scenario, which is usually a complaint by the Chinese audience about the domestic animation products, have bestowed the main characters with different charms. Many say the whole film was pervasive with traditional Chinese style while at the same time has new angles. Some audience even said that they have seen hopes in the Chinese animation films. 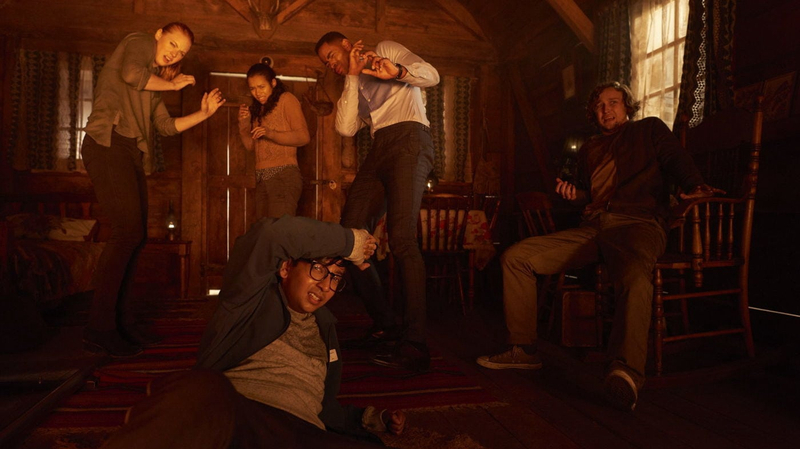 On the other hand, psychological thriller “Escape Room” has performed well with over 60 million yuan (8.81 million U.S. dollars) three days after its release. “Mortal Engines” has only got 34.4 million yuan (5.05 million U.S. dollars) within five days. With the Spring Festival holiday only two weeks away, more films have been gearing up for the upcoming new round of competition. Meanwhile, another superhero franchise “Deadpool 2,” set to be released on Friday, is expected to launch a new series of the reshuffle on the box office ranking as well.